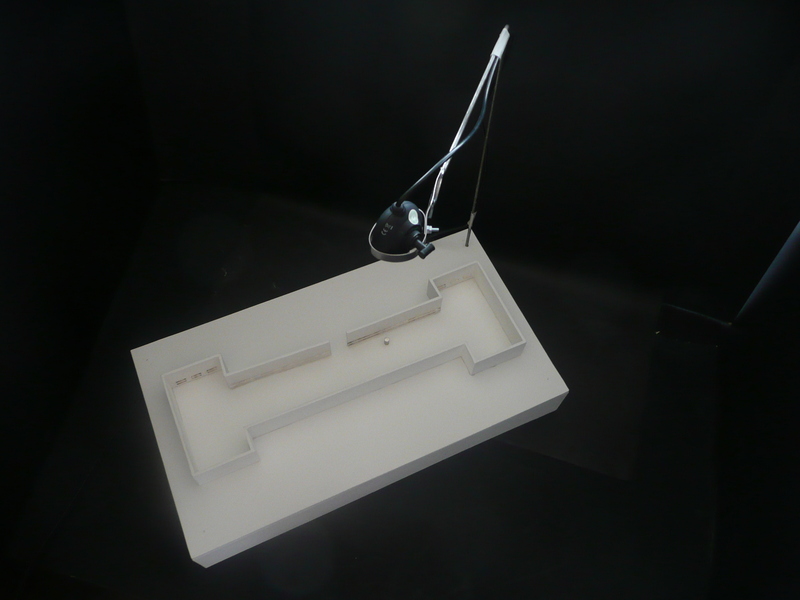 An 1:200 model of the Duveen Gallery was built which works in relation to the ‘Processing’ software in order to test the capturing of the visitor’s position. A camera is set above the model facing downwards and is connected with the computer. 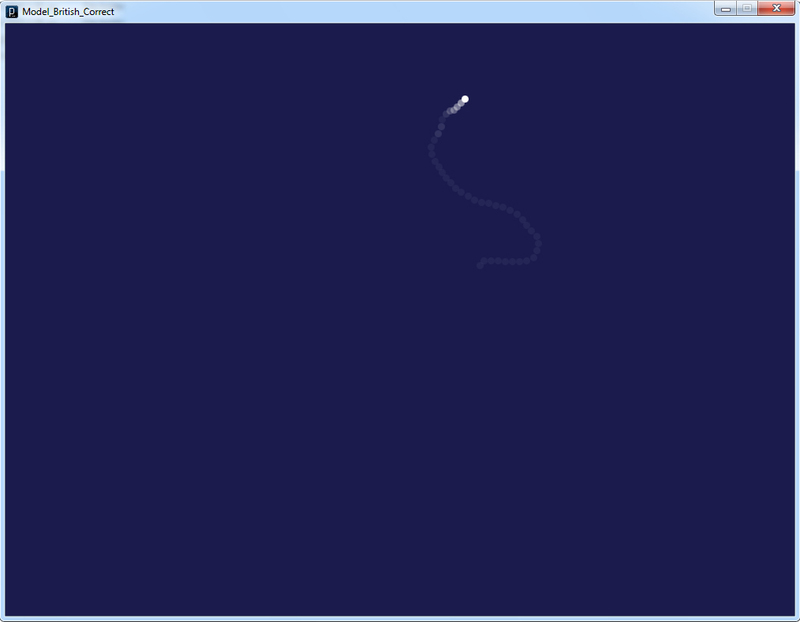 Running a script at ‘Processing’, which recognizes the movement from the camera, the visitor is represented at the computer screen as a white dot in a blue background. Through this, the position x,y of the visitor is always known to the system. This model performed very satisfactorily considering its scale and its complexity. For the final proposed scheme, the same principles will apply in a more sophisticated installation. The gallery would need to be divided in areas, were cameras would be located on the ceiling. Each of them will cover the visitors’ movement within the according area. All cameras will communicate with the central computer system, providing the location of each visitor.